China says no to wind and solar tech unless it can compete with coal on price | Watts Up With That? In the past, provincial authorities have spent heavily to bankroll uncompetitive solar manufacturers. Thursday’s announcement warned that any attempt to use project subsidies to invest in “local factories” or to make the use of locally made components a condition of the subsidy. January 11, 2019 in Coal. Thank god there are still rational humans left on this planet. Well, rational when it comes to sound economic sense IF you want to continue, protect and grow your society. Mas as fish in everything else. China is also not wasting money changing their electrical grids to allow massive amounts of power to be moved from region to region to enable intermittent sun and wind gathering energy to be connected. The largest increase in CO2 emissions is air travel, China. As the 1.2 billion Chinese get richer which is their governments’ goal, they are travelling to Asia and abroad. China is go-go. They are winning. Strange, Very Strange. Why are the people pushing Renewables in the USA and EU claiming Wind/Solar is cheaper than Gas/Coal/Nuclear, yet China claims it is not profitable? China is so limited with manpower that countries in a similar situation had to regress to Child Labor. Good questions. I’ll think about it. In the meantime, I have to go outside and shovel that stuff that was to be a thing of the past. China is invading Europe by container trains. So Trump said it’s a Chinese hoax, and surprise, China proves it right. Each year China grows emissions much more than whole Europe decreases (which is not much). Already now Chinese emissions are larger than EUropean/capita. They have no intention to do the mistake EUrope did. China used the “hoax” to its advantage. China did not create this. Likely German Greens, Al Gore, John Kerry, and Maurice Strong were the creators. Confucius say: Chinese not considered “paleface”, so their actions always ennobled by Western social-justice elites. Someone in the PRC did some math, and realized just how expensive wind and solar are at providing power to a grid? Someone did the engineering and realized as wind and solar capacity grows how increasingly difficult it is to maintain grid stability over thousands of miles of transmission lines with rapidly fluctuating inputs from wind and solar And by increasingly difficult, that translates to more safety devices, frequency control devices, switches, and breakers have to be installed, all of which adds complexity and more failure points.And at the end of the analysis, you’re left with the realization that wind and solar have not replaced even one KWH of fossil fuel-nuclear-hydro power in order to meet grid demand under regularly occurring conditions of no wind and solar output. And then the realization comes that in the totality of end-to-end life cycle of materials mining, fabrication, delivery, assembly-installation, maintenance, and eventual tear-down of a wind turbine farm or solar farm, not one kilogram of CO2 to the atmosphere has been spared. Climate Change is nothing but a scam on our gullible population being fed climate propaganda. After you factor in the fleet of fossil fuel powered vehicles and workers, and gallons of cleaning “solutions,” needed to go out into the “desert” regularly to clean the dust off the panels so they might actually work at something remotely close to their supposed level of performance, you’ll probably find you’ve used up more energy than they produce, and certainly the cost of that energy they produce will not be cheaper than a REAL power plant, which you’ll STILL have to have up and running to provide what the panels won’t as the sun goes down anyway. Intermittent power generation is worse than useless. Personally, I think that solar in deserts is the better technology but still vastly inferior to molten salt nuclear power. And there you have it, for the folks at home playing the kent beuchert MSR drinking game, the obligatory posting about MSR from kent. doesn’t matter the topic at hand, MSR will get a shout out. What do you have against deserts? Deserts are amazing places that deserve respect. Visit a few. Put a molten salt nuclear unit on top of city buildings. 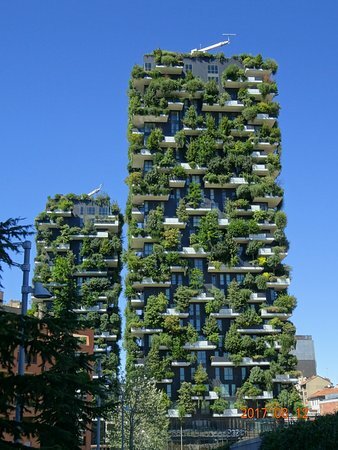 If skyscrapers can support trees and other vegetation, they can hold other things as well. If the greens ever finally figure out that wind power is a joke it will only be a matter of time before they switch their focus to the dying birds and bats. And once that happens, not only will no new windmills be built, but the existing ones will be decommissioned under threat of green lawsuits, vandalism, and boycotts. Hint: Do the math BEFORE investing multi-$billions into an energy system, and that includes figuring out what it will do to the energy grid. I know math is hard, but SHEESH! Would do what?? The statement is incomplete. There is no clarification at the “Full story here” link either. I’m going to guess that the intended construction was supposed to be “warned against any attempt”. Thursday’s announcement warned that any attempt to use project subsidies to invest in “local factories” or to make the use of locally made components a condition of the subsidy would result in the death penalty. The phrase ….. “ a condition of the subsidy” …. is self- explanatory. Interesting. So a liberal government system exists that actually considers practical considerations rather than just optics and talking point adherence. Color me surprised. I think it is fair to say that, whether or not it was copying Singapore, China has abandoned doctrinaire Marxism. Most Chinese I know acknowledge that Mao did make some mistakes. “Mao did make some mistakes”. Understatement of the decade. Some 60 million dead Chinese people could attest to that. Only a few years ago, making a statement like that would guarantee that you would be added to list of 60 million dead. Things have changed a lot. The people are so much better off. Yes. The Chinese are afraid of letting the beast out. Tell Mao was a walking death and destroyer of worlds, would shatter the Chinese faith in the system. They are gradually revealing Mao was not a god, but a man with weaknesses. I guess they’re now telling he was fifty fifty, did lots of good but also big mistakes. Where as the current strong man is better than that, they are to say between the lines. Time shows when if ever the Chinese stop to worship their current dictator a semigod. … Time shows when if ever the Chinese stop to worship their current dictator a semigod. It’s not worship per se. Confucian philosophy says that loyalty should be ingrained. Even if a leader is bad, the people should still be as good as possible in order that the nation can thrive as best as is possible under the circumstances. They experimented with market economics in their agriculture sector, and output increased ten-fold. Marxism was dumped shortly thereafter. The current ideology is Nationalism. They aren’t classic liberals, but they fit in quite nicely with the modern liberals. ALL mandates and subsidies regarding wind and solar power should be eliminated, NOW. A “ban” would then become magically unnecessary, because their entire existence is based on such mandates and subsidies. Without utilities being forced to accept solar and wind power, to prioritize its use over conventional power generation, and to pay anything for it when it COSTS more than conventional power generation due to intermittency and related grid stability issues, they would refuse it, and the people buying it would no longer have any reason to. Hey, China is “still in” the “Paris Climate Steal,” so they are “showing us the way.” LMFAO. Huh. Who would have figured that take such a reasonable and obvious position for the benefit of their own country? They got rid of their idiotic intermittent energy scam and not a Yellow Vest in sight. This is one Asian flu I’d happily see spread to the West. The NDRC said it would further boost the income of solar projects by cutting land costs subsidy and promoting new market mechanisms like green certificate trading. Um, that sounds like a subsidy too. and how will it do that? by subsidizing the cost of land perhaps? so solar isn’t subsidy-free after all. But isn’t it tiresome cutting through all the misinformation and jargon? Did you expect Griff to actually read an article he cites? The .009 yuan decrease in kWh compared to coal power may just be a marketing measure to attract more business to compensate for the cost of construction, because all the subsidies, direct and indirect, were insufficient therefore. Take griff’s linked article and replace the word solar with coal and griff would most likely post it showing the subsidies that coal receives. The whole scam is collapsing on its’ own. As it should. Without the free handouts/subsidies from the West China realizes it will cost them instead of being a cash cow. Now they are worried about their economy that was built on the premise that industry would collapse in the West without fossil fuels and they would provide the industrial output to the world. Without Trump the US would have continued going down that rat hole and they may have succeeded. One by one countries are waking up to the true intent of “Global Warming” and not buying it. And the collapse has nothing to do with science because it was effectively muted. The UN and its supporting cabal didn’t take into account how much people are attracted to, and dependent on, the modern lifestyle enjoyed by Western industrialized countries that they tried to destroy. Griff, whomever/however many you are, good to see you back on WUWT providing the counterpoints for reflection, however inane though they may be! Look! 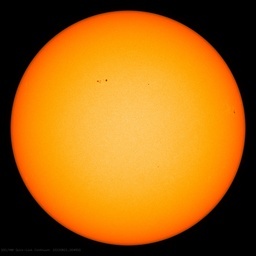 I think I can see your image(s) on one of the House of Renewable Energy Cards, as the entire edifice collapses…under the weight of energy generation and transmissional truths.. This is a step, but the price is irrelevant if the output characteristic is unsuitable for powering the load. This fixation on price implies that solar is a valuable energy source. It is not. The market value is negative. Even if it is free, it is not worth connecting if it is intermittent and cannot do the job. Where I live, if I was paid to take solar panels, it would not be worth mounding them. They only provide power when it cannot be used. You would need to include battery storage and a rebuild guarantee that/if/when said battery would not burn your house down. Use the energy from the battery at night and recharge it during the day. Oh good idea. How are you going to recharge the battery during the day? 1. First, to recharge the battery during the day (to replace the energy lost during the discharge period, right? ), you must have enough cells providing power during the day to – well, literally – “provide power during the day”. That is Cell Area 1 Day. 2. Second, to provide power during the time no solar power is available, you need to know how manyhours per day solar power is not effective. Foolishly, many assume this only twelve hours per day. However, the sun is high enough in the sky year-round average in temperate climates to provide only 6 hours of solar PV power! NOT 12 hours. So you need 18 hours of battery power. Night-time electric use is slightly less than daytime use (most people do sleep after all), but electricity->DC->battery chemistry storage-storage->battery chemistry->DC->AC and DC uses requires lots of losses, so you really need 3 times the daily use area to get 18 hours of power the rest of each day. So you must buy 4x times the daily use area of PV cells. And that provides ZERO backup for dust storms, rain storms, clouds, and monsoons! And NO industrial use for large motors, kilns, and reliable manufacturing power. Slave labor? Yes. It also doesn’t account for the inevitable loss in generating capacity as the cells age. You don’t necessarily need 18 hours of battery power as long as you are still connected to the grid. When the battery depletes, you are switched to grid powerful the solar panel system recharges your battery. Though if I were to ever have a system with a battery, it would need to be a battery that could run my house for several days rather than hours. You are assuming that solar panels have output every day. Even California has low output in winter. In southern Canada solar is only partly reliable for 4 months of the year. There are lots of days without output in the summer. April and September have half output. The other six months have next to zero. I conclude that an 8 month battery reserve would be marginal at best. How big would that battery be? Damn! When has China become such a capitalist nation?? National socialism with enough free enterprise to provide an incentive. Nazi? Toss in the dictatorial powers of the top guy and you can improve your manufacturing and get the trains to run on time. Capitalism, I don’t think. It’s funny how the only part of article that wasn’t included was the section about the creation of a new green certificate scheme with renewable targets for the utilities. Windmills, solar, Energiewende, snow a thing of the past, anyone ? A new significant milestone was reached earlier this afternoon. A cabin address that made my day ensued, however they managed to take us without issues. But they are taking the lead on protecting the planet since the Donald destroyed it. One day Forbes claim that new solar plant undercuts prices of coal energy, the next day this. China has to support solar energy to secure their export, but not to a cost that is too high. “The new subsidy-free projects will generate renewable power for sale at the same prices as non-subsidised coal-fired power plants.”(or they won’t be built). Everything that follows in the article is virtue signaling saying China supports renewables for energy and that China implementing a “certificate program”, just like the USA, proves we’re doing an equal share to save the planet. The catch is there won’t be a significant number of subsidy-free projects because they can’t compete with coal-fired power plants….except in a few isolated cases. That’s why the renewable stock prices fell. China reached the “tipping point” in wind installations a few years ago, and now has done the same in solar. Germany is way past their renewable tipping points but is politically unable to stop installing this worth-less-than-nothing junk. The world needs to scrap this renewable scam. The required $trillion grid expansion required to accommodate the already installed generating capacity would be “less than wise”. “Under the new policy, grid companies will be encouraged to guarantee electricity purchases from pilot projects,” (leaves the door open to “virtuously” subsidize promising new technologies but none other).